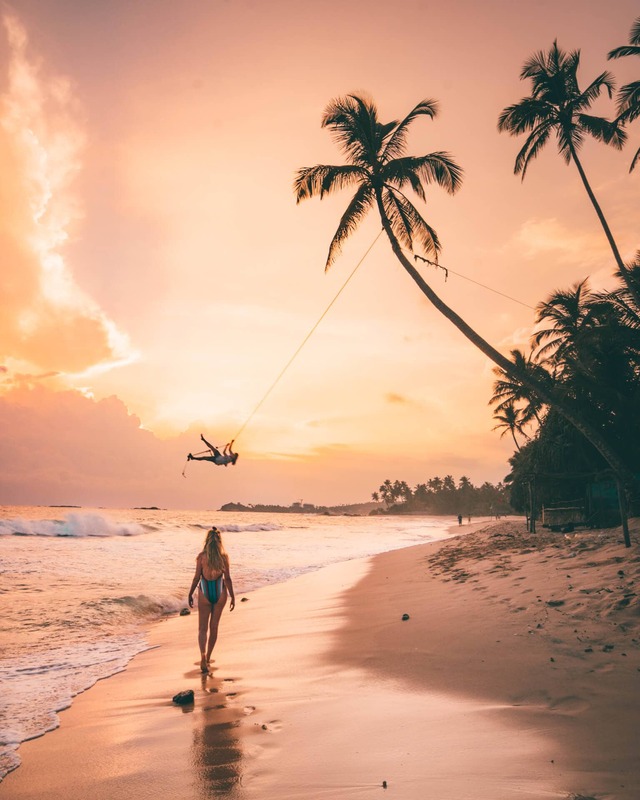 Mirissa is one of the main beach destinations in southern Sri Lanka. The area has it all, beautiful beaches, surf waves, whale watching and great bars and restaurants. Mirissa is developing quickly over the last couple of years so it’s also getting more crowded. 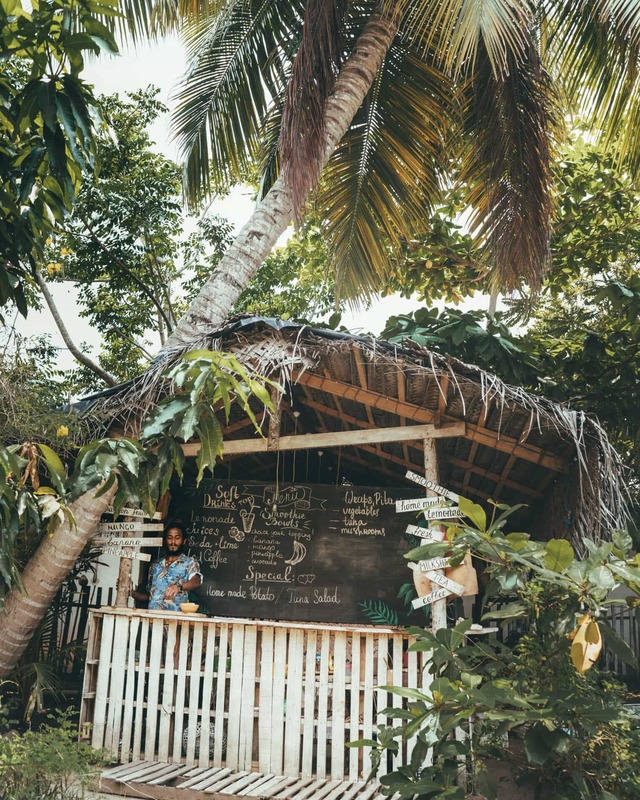 There are still enough spots where you can enjoy a fresh coconut from your hammock seeing the sunset. 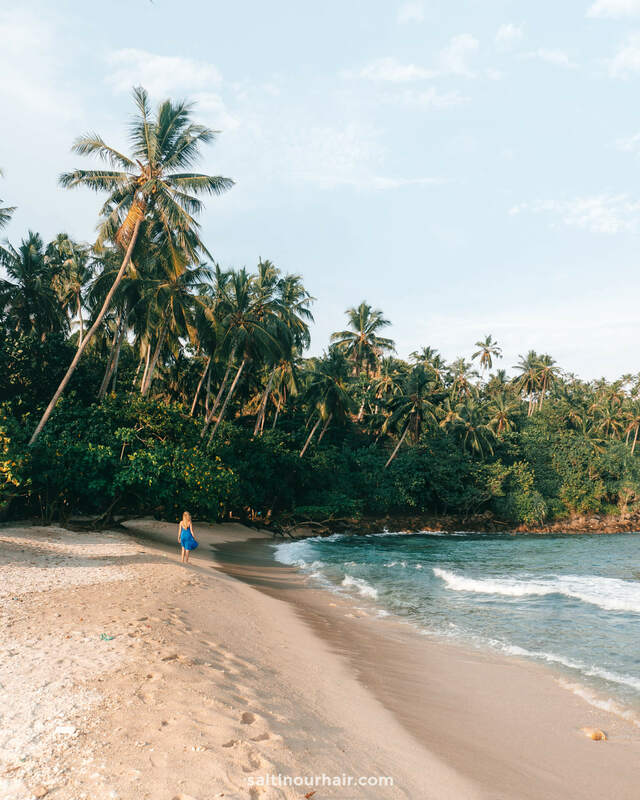 Spend about 2 – 4 days with these things to do in Mirissa. Ready for a great afternoon party with surf vibes? The Doctors House is the place to visit! It is a 15-minute drive out of town and highly recommended to visit. The big garden has the perfect laid-back vibe, great food, drinks and live music. Ssst, this one is secret. A tiny secluded beach and not the easiest place to reach. That’s why Secret Beach is so beautiful. There are one small bar and a local woman selling coconuts. Enjoy an incredible sunset from Secret Beach. Search on Google Maps for Secret Beach bar and ask a tuk-tuk driver to take you there. You will need to walk about 10 minutes down the road since this is too steep for the tuk-tuks. Right on Mirissa Beach is a small rock where you can climb up and see a bit of the Mirissa area. You have to walk a little bit through the water and with the high tide or wild water it’s not recommended to go here. 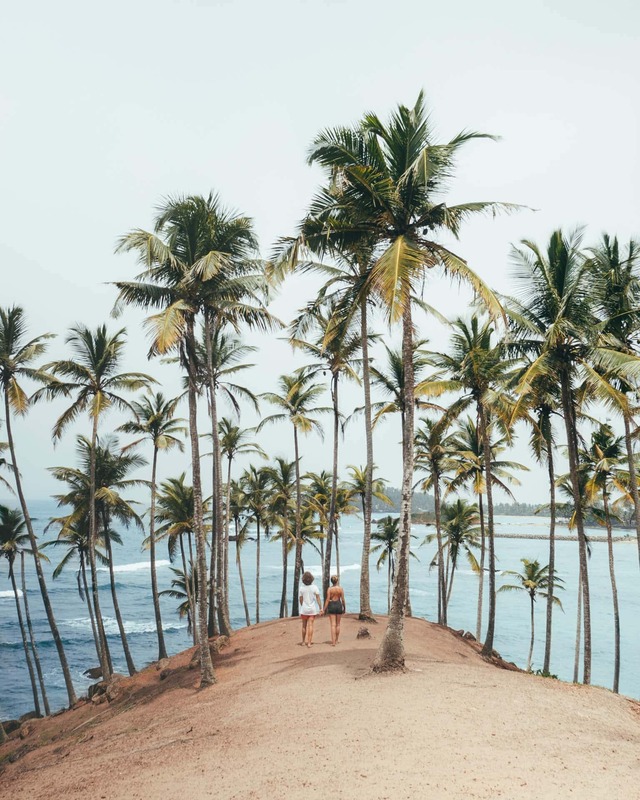 A 15-minute from Mirissa Beach is a small coconut farm on a hilltop. The view or sunset view from here is simply amazing. It’s quite easy to get here since the place is on Google Maps. You can access it via one of the restaurants nearby or by a small walk through the water. Be careful with the coconuts, we can tell from our own experience that coconuts will fall from trees. Mirissa is very popular for its marine life. At the beach they offer whale watching tours, taking you out on the Indian Ocean for a few hours spotting whales, dolphins, and turtles. The best to spot whales is from the end of November until March. Not planning a visit in that season? In the opposite season, it is one of the popular things to do in Trincomalee. 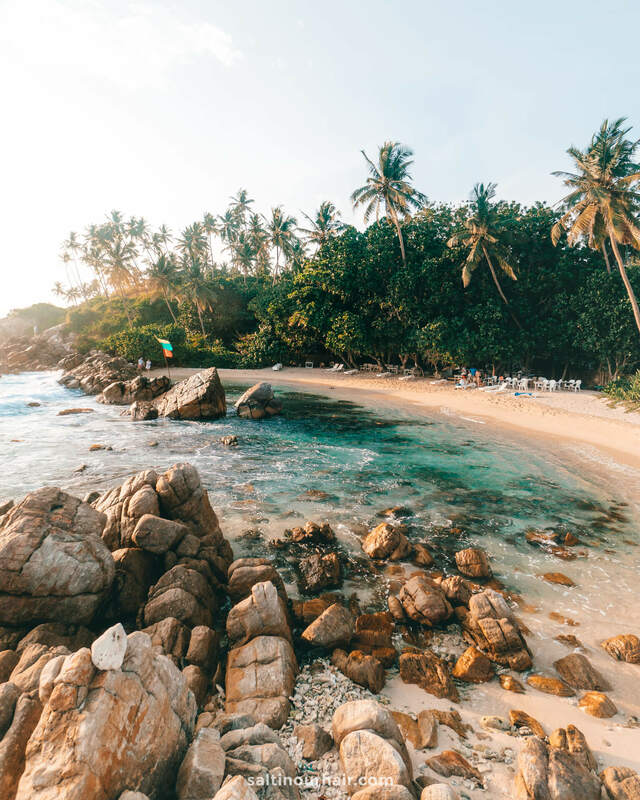 Unawatuna is a cool little town to wander around or spend a few hours at the beach. 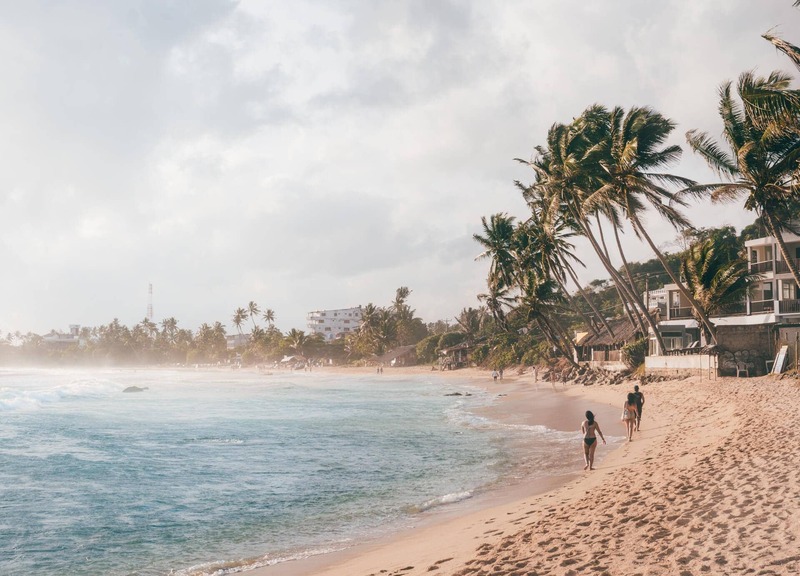 There are a lot of things to do in Unawatuna. In the afternoon, head to Galle Fort. 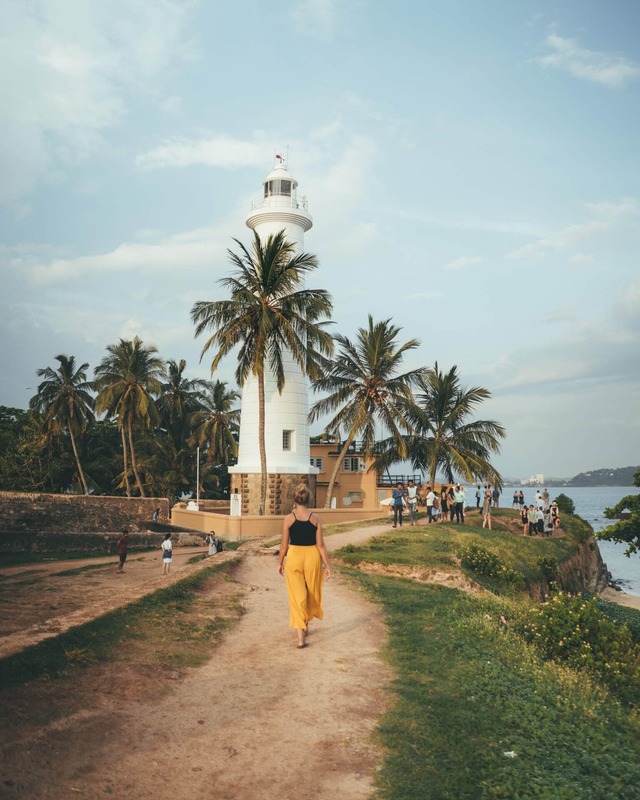 Galle Fort is the place to go shopping and explore the old Dutch Fort, you can easily spend the whole day in this area. 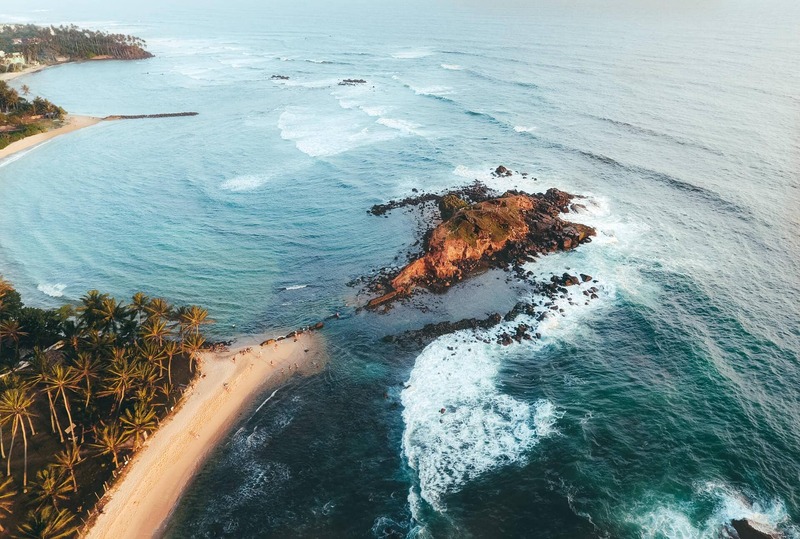 Mirissa Beach is a good spot to start surfing in Sri Lanka. The waves look great and since there’s just little crowd, surfers really love being here. Surf from October to March for ideal surfing conditions. Mirissa Beach is crowded and still a very relaxing vibe. 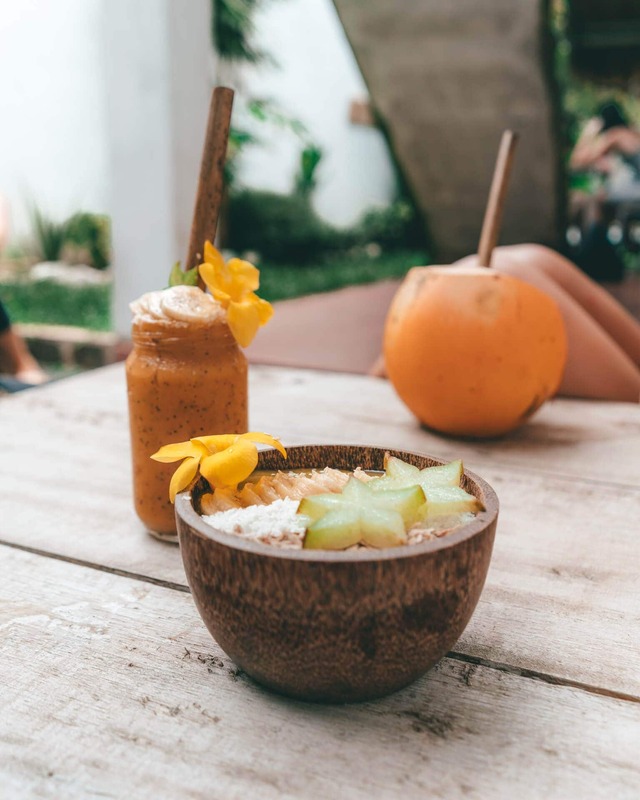 A handful of great restaurants are located on or near the beach who all offer a different kind of foods. 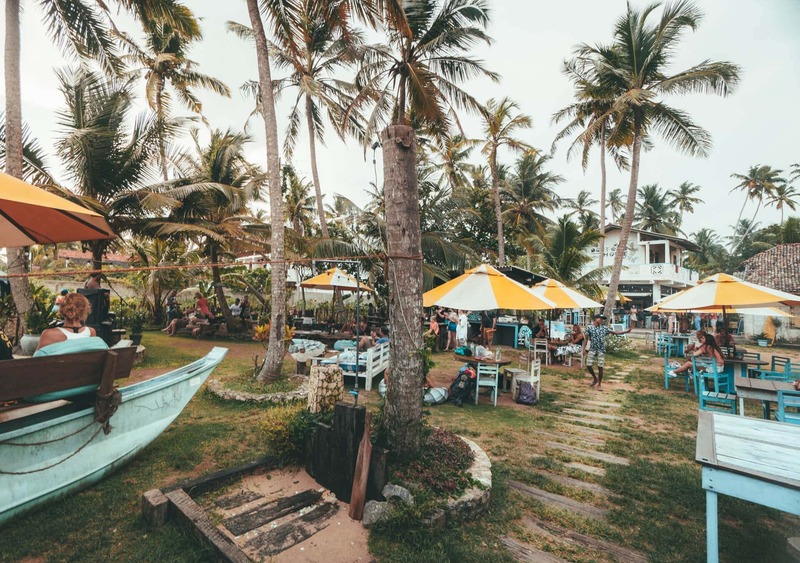 There are loads of restaurants in Mirissa. We’ve rated them by yummy (♥️) rating. 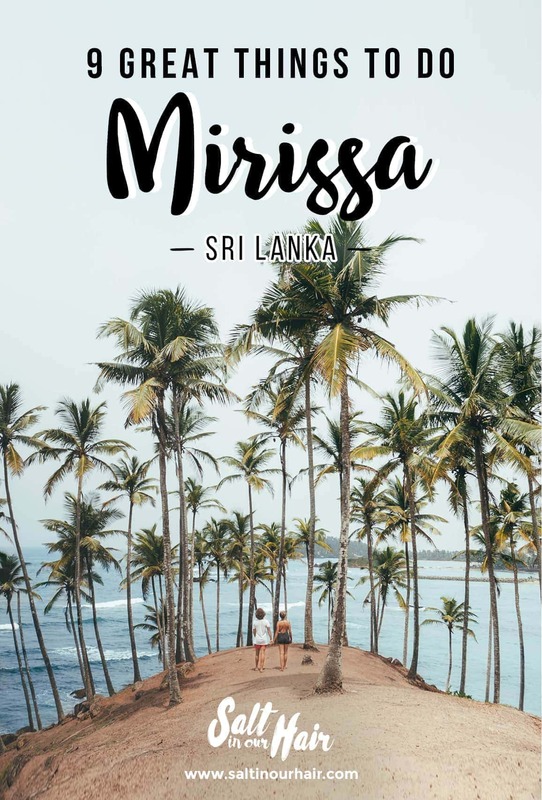 See all hotels in Mirissa. Beautiful area to stay, just outside of the town center. Wildlife was everywhere! Near the beach, great breakfast and a good price per night. Arranging a taxi at the location will usually get you high prices. PickMe is an Uber-like service for long distances. Their prices can be directly calculated from their website. From Colombo Airport to Mirissa you will pay around $45 dollar for a 3-hours drive, English speaking driver, new car with aircon, and pick up from the airport.